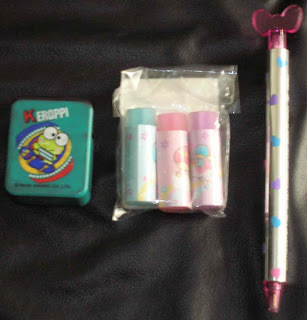 ^ These are my treasured items that I will forever treasure. 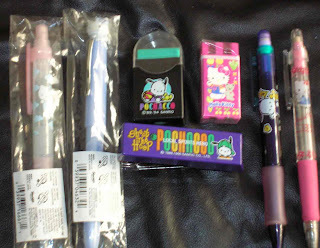 To this day, I wish I can go back in time and visit Sanrio more when they were selling these items. 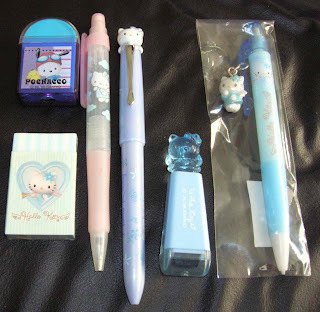 I visited a couple of Sanrio stores this year and I am amazed at how none of the pens, pencils, or mechanical pencils are up to par to vintage pieces. 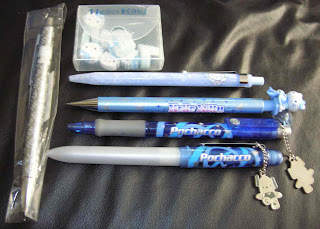 You would think Sanrio would go back to the people who ultimately designed and used quality materials for their pens. 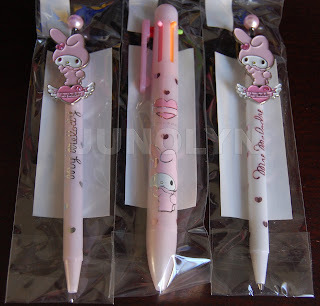 Have you seen the My Melody thick big pens with the multi function different colors? 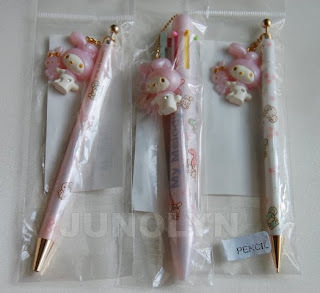 ^ I love the design for the pens, but let me tell you that Sanrio had them made somewhere cheap! Notice the thick big pen has different colored multi functions -- the one that you push down to get a different color, it's made of cheap material compared to vintage thick pens. 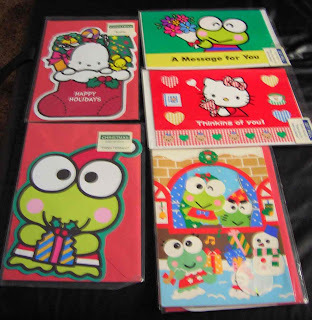 If you come across one in a Sanrio store, take a look at what I am talking about. It's one thing to cut down expenses, but to take quality from a design will hurt Sanrio's reputation in the long run.